Hello, 2017 and all the best wishes for you ladies and gents in this new year! I wish you what I wish for myself: good health, enjoying more than worrying more, and lots of creativity in everything you do... Last but not least let spirituality be your new year resolution! Here for you today I have a look from "last year "- last week :)The dusky weather had an impressive influence on me last Thursday. 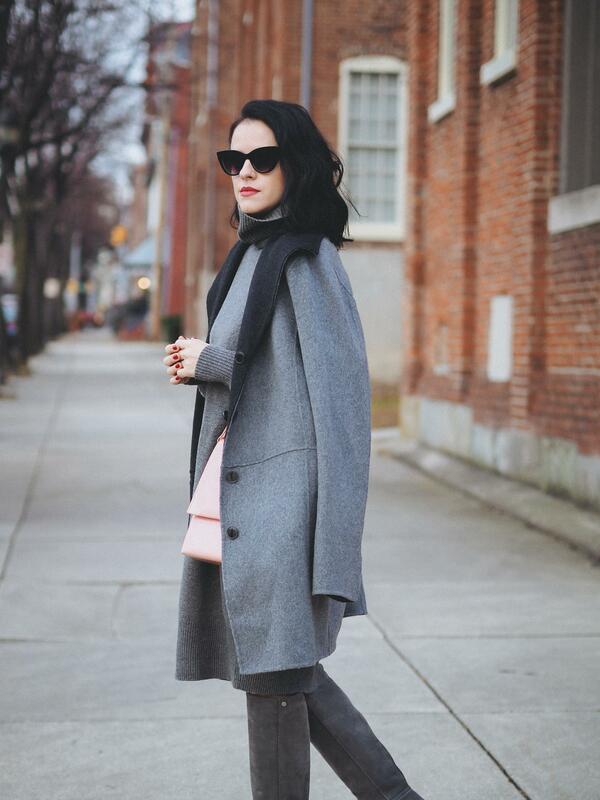 Everything Gray! Not that it's something wrong with it (because I really do like once in a while to wear monochromatic outfits) but I'm used to wearing some color or at least to add a pop of color with some accessories. This time I really kept it simple. More simple that I thought I was capable of (color wise speaking). 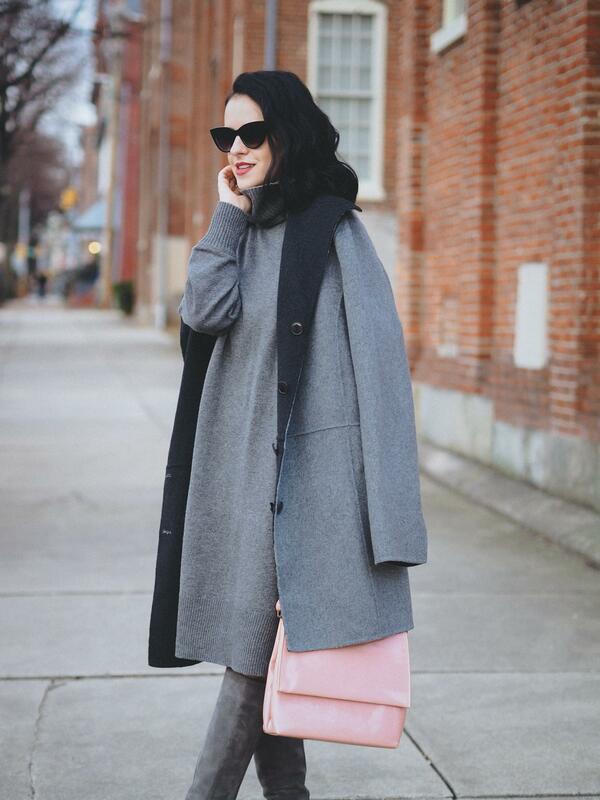 When was it the last time you wore a monochromatic outfit (besides everything black)? 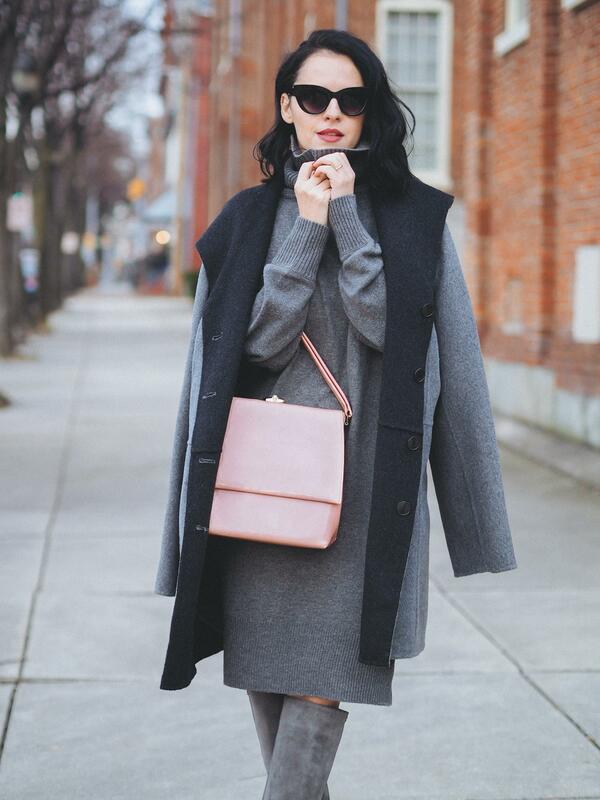 Loving the grey with the pink bag! Great inspiration! gray as color between white and black, a neutral color, a easy color.